Green feathers and a startled eye attracted me to this little creature. He's SOLD and has found new home, but you can view some of my other original paintings of birds and animals that are for sale by clicking here. If you are interested in purchasing a print of this painting please visit here to view prices and size availability. Happy Holidays! 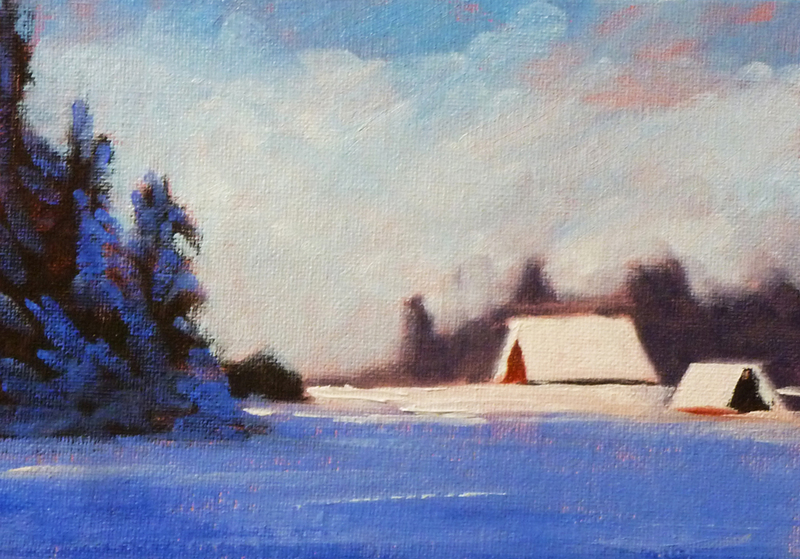 Today's painting is a sweet little snow scene that emerged from my imagination. Here on the coast of the Pacific Northwest, we seldom get snow, so it is my imagination that takes me to this place. The painting is 5x7 inches on a canvas panel. It has SOLD, but if you like this little winter scene, you may also like this one or this one, too. He's just a little blue and white bird. I'm not sure what kind, but he was a delight to paint. On a 4x5 inch canvas he was looking for a new home where he could get out of the cold and found one right away. This painting has already SOLD, but there are more original paintings of animals and birds available in my Etsy Shop. If you would like to purchase a print of this painting, please visit this link at my gallery of reproduction art. Recently I've been working on a series of paintings that were inspired by the Palouse Region of Eastern Washington and Idaho. I lived there for four years and grew to love the rolling grasslands. At first it felt bare and empty. After all, I was a girl raised amongst the evergreen trees of Western Washington. We seldom saw the sky because of towering trees and endless gray clouds. But, after having lived on the prairies of the Palouse for a while, I found a longing for them. This painting is 5x7 inches on a canvas panel. You can view it or make a purchase here. Along with this painting are others of the same size, with a third featuring a long dirt road. 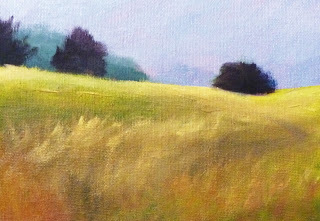 In addition, I painted a larger, heavily textured 11x14 inch painting of the prairie that was a lot of fun and can be viewed or purchased here. The collection is currently available in my Etsy Shop along with many of my other landscape oil paintings. 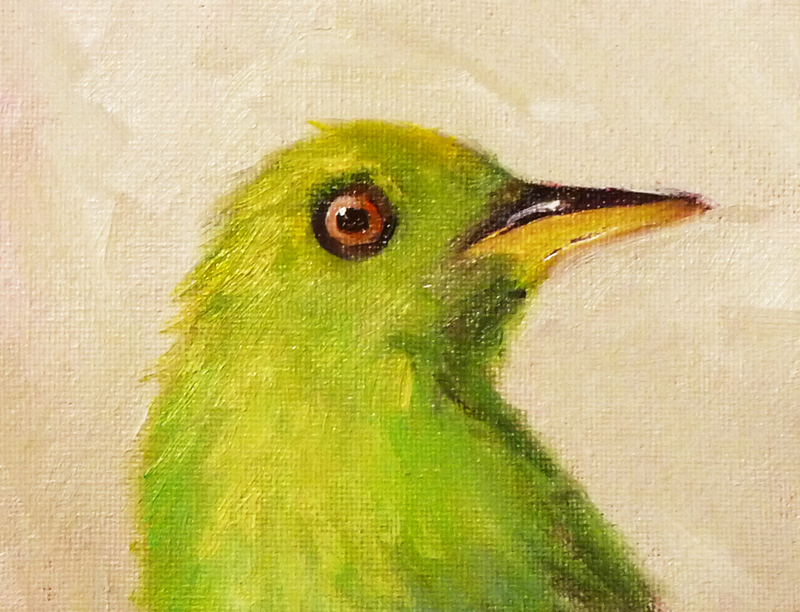 Painting birds is a fun little distraction. 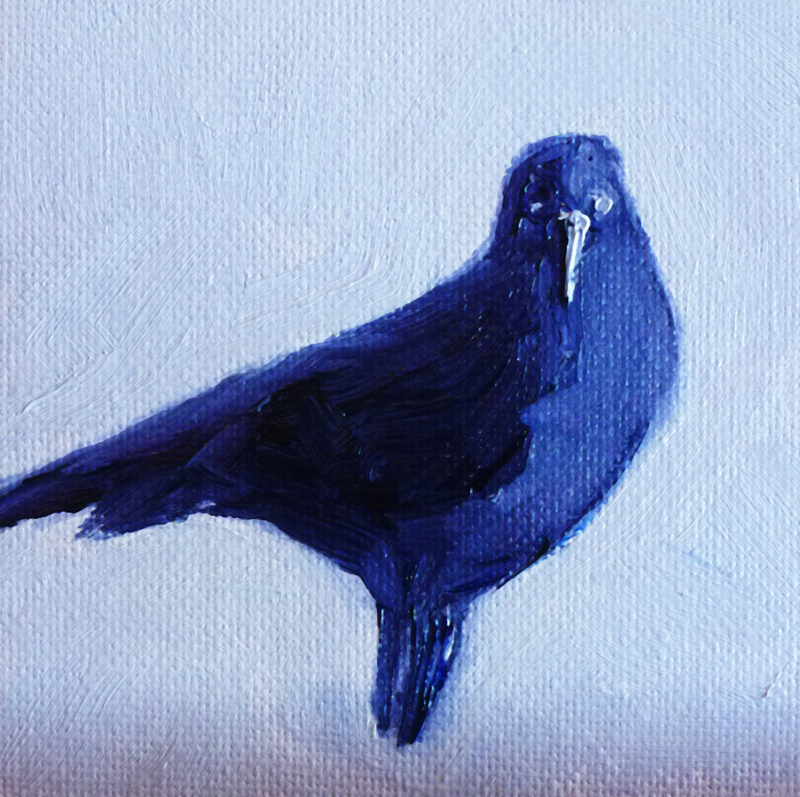 This is one of a series of little 4x4 inch paintings of crows that I am selling. 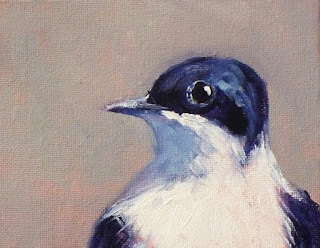 This fellow has already SOLD, but you can see more little bird paintings in my Etsy Shop by clicking here. Or, you can by a print by clicking this link. Early spring when there is still a little snow on the ground and the vegetation is just beginning to awake was the season I was trying to capture in this little oil painting. Early April in Central Oregon provides the wonderful combination of sunshine and snow. The painting is on a 5x7 inch gallery-wrapped canvas. 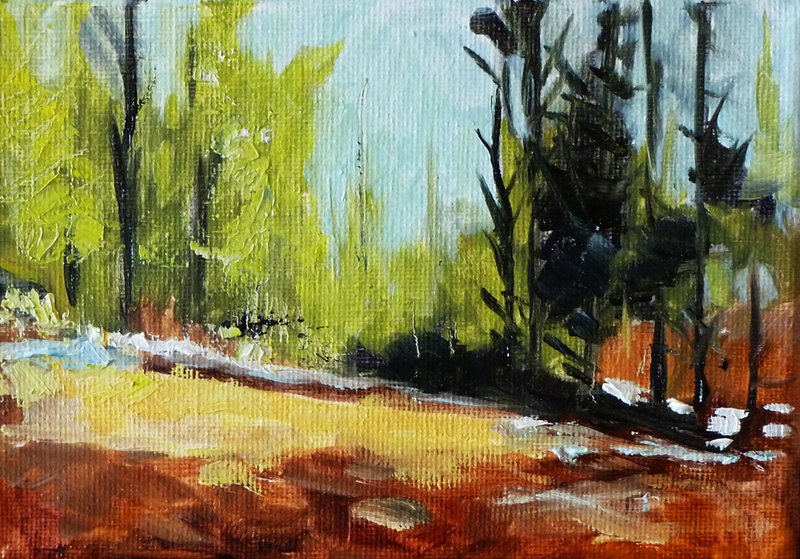 It has already SOLD, but I have more little landscapes for sale in my Etsy Shop.